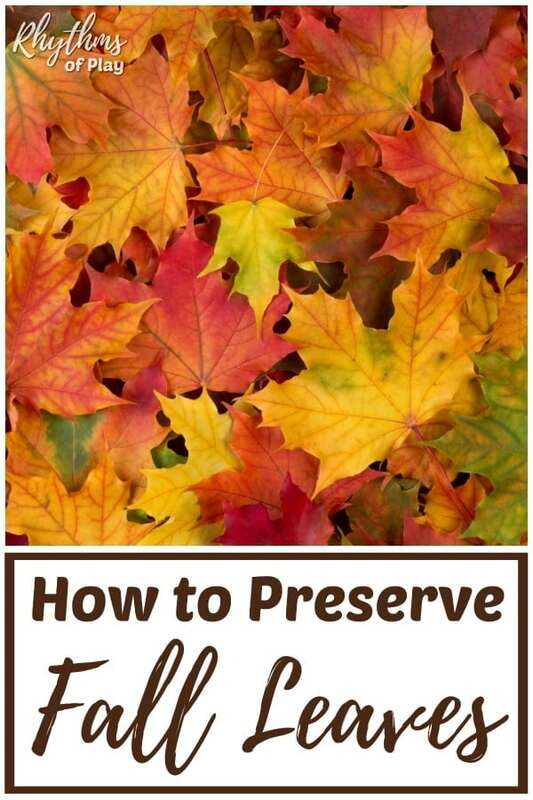 How to Preserve Leaves: Best Methods, Tips, and Tricks! Collect press and preserve fall leaves. If you love the colors that fall brings, learn how to preserve leaves to keep them around longer! Preserved autumn leaves make a great art and craft supply that can be used to make nature art and leaf nature craft projects of all kinds! Do you like to collect colorful beautiful leaves in the fall? 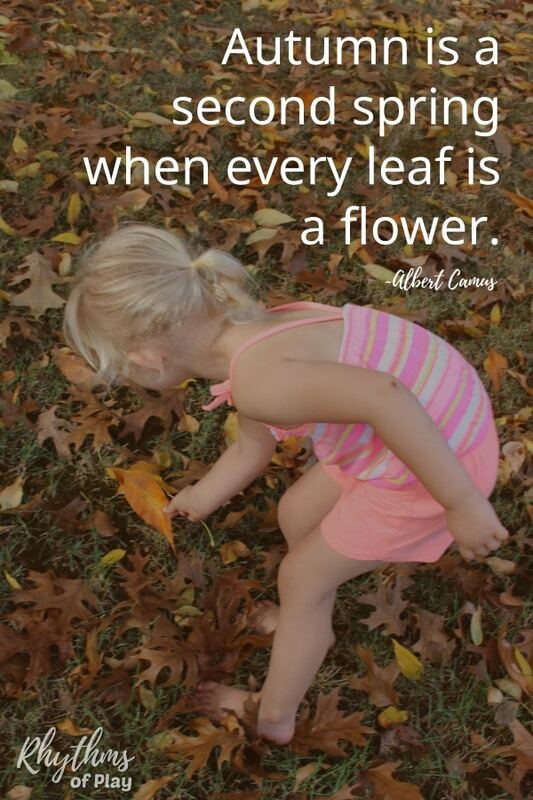 Hunting for gorgeous autumn leaves is one of my favorite things to do with my daughter. Our next favorite thing to do is to create nature crafts and art projects with them. The problem is that they will turn brown, shrivel up and break into pieces if you aren’t able to use them right away. Today I’m going to share what to do with fall leaves after you collect them so you can use them for nature crafts and art projects when you are ready! Once finished, you can use your preserved leaves for leaf lacing, leaf crafts, leaf art projects and so much more! Related: Fall Bucket List Seasonal Guide for the Best Autumn Ever! There are several ways to preserve leaves. This method uses Mod Podge or a slightly watered down white glue . You can also use beeswax , glycerin , waxed paper or a laminator to preserve fall leaves. 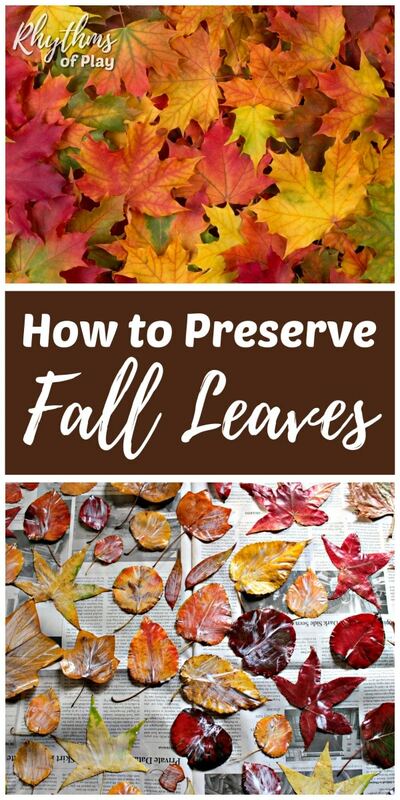 See the resources at the bottom of this page for more information about how to preserve leaves with the other methods listed. In order to preserve leaves, you first need to get outside to collect them. It’s fun to go on a nature hunt to look for vibrant fresh fallen leaves to bring home to create nature crafts or press and preserve for later. My daughter gets a rush of excitement every time she races for a pretty leaf! After you have collected some leaves it’s time to press them. If the autumn leaves you collect are dirty, rinse and dry them before you press and preserve them. It is important that the leaves are clean and dry before you preserve them or they may grow mold and peel. Next, place autumn leaves into a leaf press or onto a sheet of paper. If you are using paper to press your autumn leaves, place another sheet of paper on top of the leaves. Add as many leaves as you can fit between two sheets of paper, but make sure that the autumn leaves are dry so they do not mold while they are being pressed. Do your best to make sure they lay flat under the paper. If you have a lot of leaves you can place more leaves on top of the second sheet of paper, and then place another sheet of paper on top to press them. Keep doing this until all of the leaves are between sheets of paper. Then place some large heavy books or binders on top of them and let them sit for 12 – 24 hours. Don’t press the fall leaves for too long, or they can begin to lose their color or grow mold. After you have pressed the autumn leaves that you have collected it’s time to preserve them. First, cover a table or other surface large enough to dry the fall leaves you have collected with an old sheet or pieces of newspaper. 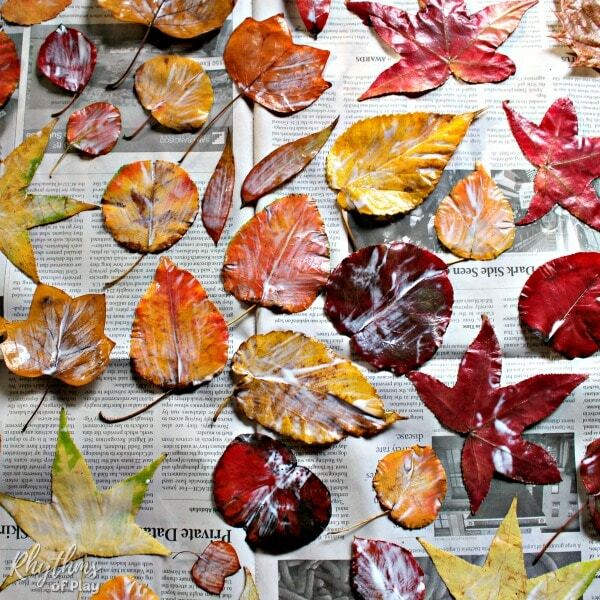 Next, get out your pressed fall leaves, Mod Podge, a foam brush, and an old magazine or catalog. If you don’t have Mod Podge use white glue with a little water added to it to make it easy to paint with. Preserve Leaves with this easy hack! It is almost impossible to apply Mod Podge to a fall leaf without getting it all over the surrounding area so we have come up with a super easy hack to get it done effortlessly. Use an old magazine or catalog to give yourself a surface to quickly apply the Mod Podge without concern. Open your old magazine or catalog to the first page and use your foam brush to apply Mod Podge to one side of the fall leaf. After applying Mod Podge to one side of the autumn leaf, lay it down Mod Podge side up on the surface that you have covered to allow your preserved fall leaves dry. Turn the page of your old catalog or magazine after every few leaves so you have a new clean work surface to work on right in front of you–tada! No muss no fuss! Yes, you will be slowly gluing the pages of your old magazine together as you work, so use an old magazine that you don’t care about. Mod Podge goes on milky and dries clear. You can see some of our preserved autumn leaves drying below. 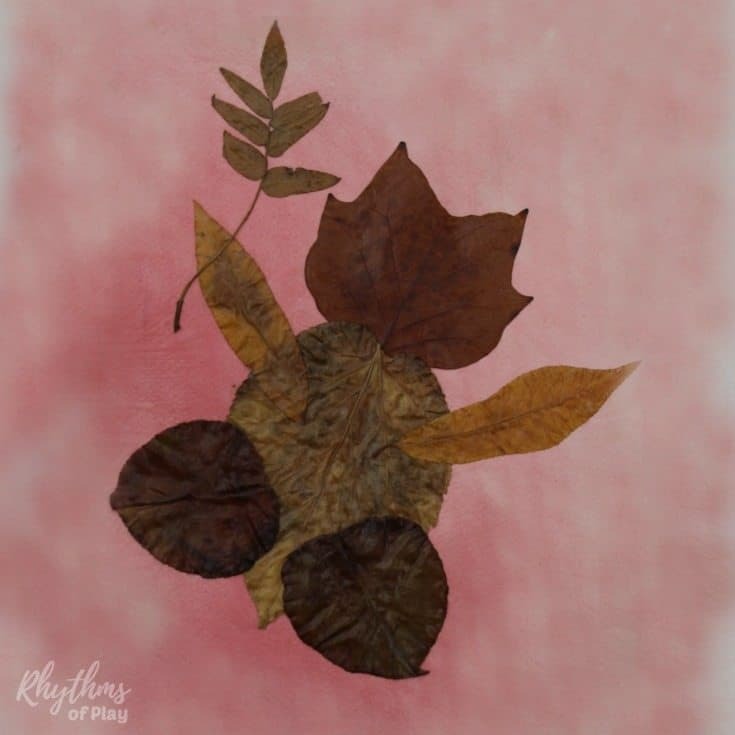 Once the autumn leaves are dry you can apply Mod Podge to the other side of each fall leaf using the same technique if desired. Preserved fall leaves can curl and/or wrinkle a bit depending on the type of leaf. If you want your preserved autumn leaves to stay flat press them again (when dry) until you are ready to use them. 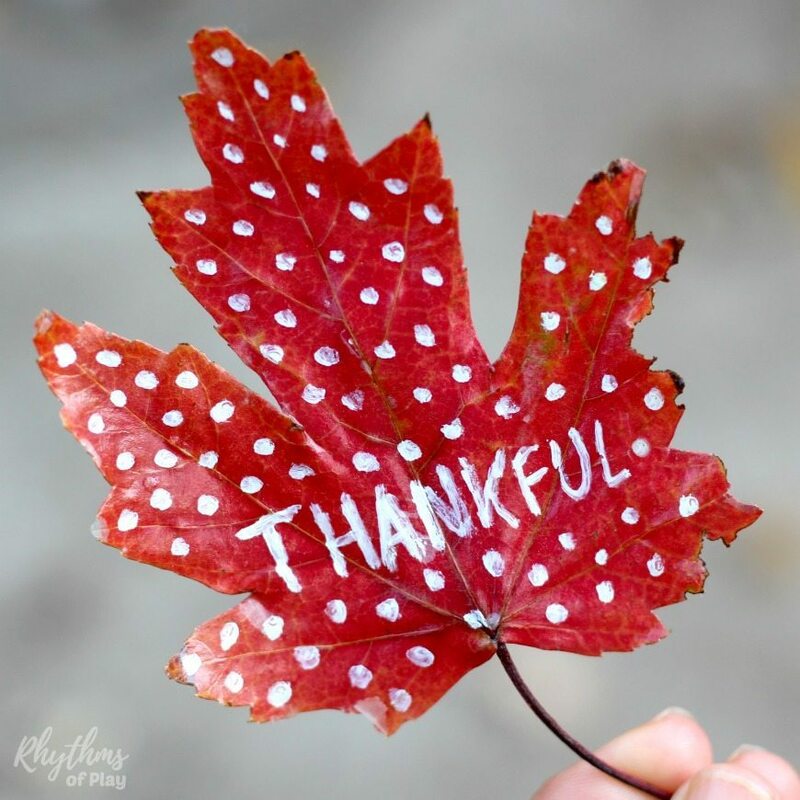 The preserved fall leaves that we painted with Mod Podge on one side (like the thankful leaf pictured below) retained their color and turned out to be more flexible and better for art projects, while the leaves painted and preserved on both sides are better for sturdy crafts like leaf lacing. Some of our preserved autumn leaves have become a bit brittle over time, and a few have faded a bit, but we still have lots of red, yellow, and orange preserved leaves to play with! Update: After a year our leaves from last year are still gorgeous. They have lost some of their flexibility now that they have been stored for a year but they are still surprisingly colorful. I wrote thankful on a leaf we preserved last year and placed it on our thankful tree this year! We have lots more ready to be added to our Thankful tree this year because we preserved so many gorgeous autumn leaves! Related: Fall Books for Kids: Autumn Stories Children LOVE! As mentioned above, There are a few other ways to preserve leaves that you can try. Learn how to preserve leaves with beeswax with Donni over at The Magic Onions, and how to preserve fall leaves with glycerin or wax paper with Chelsey at Buggy and Buddy. 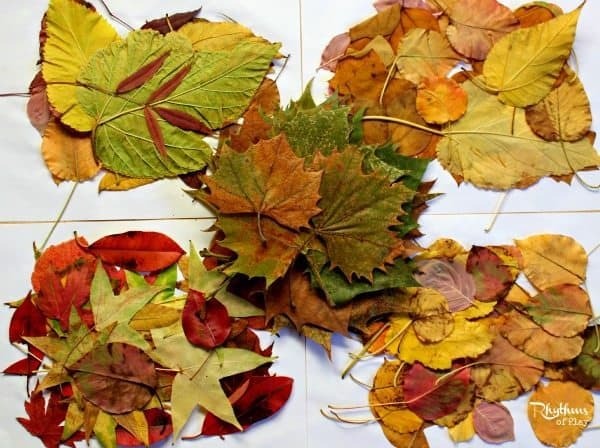 Maggy Woodley over at Red Ted Art also has a lovely write up on 6 methods commonly used to preserve leaves complete with a video of how to use glycerine to preserve autumn leaves. Pressing and preserving fall leaves is an easy crafting activity for kids and adults of all ages. Once finished, you can use your preserved leaves to make lacing leaves, nature crafts and nature art projects of all kinds! You might also enjoy our fall bucket list seasonal guide for the best autumn EVER! This post is a part of the Get Outside & Connect Series. Click on the link for more information. Love this!! Ive been wanting to try leaf preserving but just havent done it yet. Do you find Mod Podge easier than Beeswax? Yes, I find it much easier than beeswax. I like the effect that beeswax gives the leaves, but I find heating and using beeswax to be messy and a bit of a pain. Mod Podge works great, but the leaves can get a bit stiff. My best advice is to give both a try and find what you like best. You may find that you like beeswax for some projects and Mod Podge for others. I have also heard that glycerine works, but I have yet to try it myself.